Q: (anazonda) What are short and long term plans for Fleets? Dstahl: The short and long term plan for Fleets revolves around providing goals for Fleets to achieve that will provide benefit to its members. Our goal is to challenge Fleets to accomplish major objectives that will help define and differentiate Fleets from one another. This will most likely involve allowing a Fleet to construct and maintain their own Starbase in the game. I’m hoping to be able to confirm which elements of this plan are coming in Season 6 by the next Ask Cryptic. Q: (The.Grand.Nagus) Are you still expecting to only have 2 FEs for the entire year? If so, what other types of content will be filling in the gap? Dstahl: As you suggest, the issue is not about how many Feature Episode series we are going to be doing, but rather an issue of the game needing more content. Whether or not we do more Feature Episodes, we need to have a steady pipeline of new content. The content team will be focusing on delivering content throughout the year and we will be spending our development time wisely to ensure that what we build benefits the game’s future. In addition, featuring Foundry content is going to highlight the wealth of great content being built every day by our community. Q: (mavgeek) Are we ever going to see more PvP additions to the game? Dstahl: Yes. One of the software strike teams at Cryptic worked on PvP extensively for the last year and in Season 6 we will be moving our technology over to that platform and updating our PvP systems. The expectation is that we want to improve PvP and resolve some of the frustrating elements in the existing maps. Whether that means overhauling existing maps or making new ones is still TBD, but we have resources committed to this effort. Q: (cerberusfilms) We’ve heard a lot of rumors and suggestions on what the Foundry may be getting in Season 6, but is there anything concrete you can tell us? Dstahl: A lot of work has been done by the Foundry team on Neverwinter to update the foundry editor as well as add new features related to building interior content. In fact there have been so many updates to the core Foundry engine that we have dedicated developers on STO just to ensure we can get as many of these features working in the game for Season 6 as possible. While I’m not ready to share specifics just yet, once we get closer to Season 6, you’ll see an update to the Foundry roadmap with where we are at and where we are going. Q: (Sprint01) Can you comment on any new quest lines past the Undine’s final mission in Fluidic Space? We know the Iconians are manipulating them. What happens next? Dstahl: There are elements of the game’s future that have been planned from day one and it is our intent to play out that story line as the game progresses. You can look for more development of the ongoing story and hints of the Iconians as we release new content throughout the next year. This content could come in the form of new missions, new fleet actions, or something entirely new. Q: (AdmiralKirk1701) Are we going to see more ships from the shows and movies make their debut in STO, or is it just Refit ships that are going to be made now? Dstahl: We definitely have more ships from the show planned. Our goal is to get every possible ship from the shows into the game, so long as it makes sense (i.e. isn’t silly) and jives with CBS. Q: (Veldrane) Are there any plans to revise the items and crafting? Dstahl: We do think that crafting can always be improved. There are a few designs that have been put forward by the team and at this point we are evaluating the proposed changes and determine where to fit them in on our schedule. Once we have a firm plan for when these are going in, I’ll communicate the gameplan. Q: (Cuatela) What’s the schedule on fixing some of the costume bugs that are rather old at this point? Dstahl: Since my return, QA has been taking a much more active role in prioritizing the long standing list of issues and working with our production team on getting time to address issues where the schedule allows. So while I can’t put a date on when any particular bug will be fixed, I can say that there is a renewed commitment to addressing long standing issues and ensuring that the individual leaders of the team are fully aware that these issues persist. Q: (keith_darren) Are we going to be seeing any new Bridge Officer races in the near future? Dstahl: In the near future you are going be seeing both new Bridge Officer and playable Captain Species. While I’m not at liberty to spoil what these are yet, it’s on the schedule. Q: (trekkie7979) I love the new shorter STFs, and I love being able to queue for them. Can we expect to see more of these fun End Game heroics added soon? Dstahl: We are constantly looking to design new fun and compelling content like the updated STFs. There are content design resources that are devoted to making more fun queue-like events that you’ve been seeing released over the last several months. So whether this new types of Red-Alerts, new Events, or new STFs to queue for, more content is definitely on the way. Q: (Oasus) Is there any update on a possible release for Macs? Dstahl: While the team has looked into this in the past, there are no plans on the table to do a direct OSX client. That said, we are always open to opportunities and if it makes sense to port the Cryptic client, we will do it not only for STO but for our other games as well. Until such a day, OSX users will need to resort to alternate Windows boot-up options. Q: (Captain_Revo) Any chance of going back and making some of the items from earlier FE series provide a full set for re-run? i.e. add a Deflector and Engine for the Reman shield. Some armor to go with the Devidian rifle and personal shield? Dstahl: We do plan to continue making new sets of loot in the game. Going back and adding these sets to previous content is an idea on the table, but you may find us leaning more towards having new sets be a part of new content. That said, we do want to find ways to encourage replay of previous episodes and having cool unique loot items is one way we could do that. Q: (VengefulDjinn) What is being done about Server stability issues? Dstahl: Since the release of F2P and the additional release on Steam, we have continued to add new hardware and increase capacity to address the overwhelming number of new players we have in the game. Stability has been improving over the last several weeks and we have a dedicated staff of software engineers looking into every performance impacting event we find. Overall, we believe that we are able to handle the capacity now and are working to address a few lingering issues. Q: (General_Devon) When the new Odyssey and Bortas ships are released in the C-Store, will those who received the ship for free during the anniversary event, get these new versions for free as well? Dstahl: The new ships being released in the C-Store are premium versions of the ship that were given out during the 2nd Year Anniversary event. 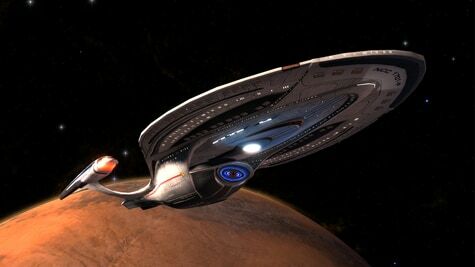 They will contain alternate configurations and abilities and will be different than the free ship that was given out. All players will need to purchase these additional variants if they want the new configurations. Q: (thesilverhawk) When are we actually gonna have a support department. I don’t call a 6 day wait on ticket response support. Dstahl: As you’ve discovered, the support department was flooded immediately after the F2P and Steam launches and are just now catching up on tickets. Perfect World is aware of the backlog and is working to address the issue. In the meantime, hang in there and know that the Customer Service team is working like mad to get to everyone and that wait times are improving. Q: (Geofftillman) When are we going to see the Tholians? Q: (WazzaG) When will we see a Romulan Faction? I always read answers along the lines of “when the KDF has more content.” When will they have enough content so you can then launch a Romulan faction? Dstahl: This is the number one long-term question on my mind and something I’m working directly with Jack (Cryptic’s CEO) and Perfect World to address. While I can’t give you a date, one of my goals in returning to Star Trek Online is to address this very issue. Dstahl: While nothing is final yet, we have been discussing the possibility of either creating Holodeck Adventures that you can access for GPL via quark’s bar, or allowing Foundry authors to create something similar by introducing some new and very different settings designed for this. So while it is not at the top of the priority list, it is something we think would be fun in the long term to have in STO. Q: (chrislove) For Foundry users, could a favorites tab be implemented in the UI? For example, if I play a mission and loved it, could I tag that author and his/her missions would be in my favorites tab? Dstahl: Yes. Both the ability to subscribe to authors and a personal Foundry missions tab are features I was working on prior to resuming the role as EP. While there isn’t a release date yet, you can expect these options to be a part of the Foundry’s future. Q: (yeayea911) When will we see the level cap lifted to get to the rank of Admiral and are we ever going to see the Vesta Class? Dstahl: We have not yet decided when we will raise the level cap to Fleet Admiral, but that is not stopping our plans to introduce new types of gameplay for max level players. Before we can raise the level cap, we need to ensure that there is fun and compelling content worth raising the level-cap for. My approach is to address the content issue first and then we will tackle the level cap issue. As far as the Vesta, we continue to negotiate for the rights to use the ship, so we haven’t given up on that. Q: (wilhemdevere) Many players who joined at F2P launch hit level 50 within a month and stopped playing soon afterwards. Do you think that the award of skillpoints should be slowed down a bit? What other observations have you been able to make thanks to F2P crowd road-testing the big mechanics changes? Dstahl: You are partially correct. A majority of characters that were created when F2P launched have hit max level cap by now, but the vast majority of those characters are still playing. That said, we do recognize the changes made to the game. I’d rather add more content to the game and add new goals for max level players than slow down the curve for the content that we have. That said we may adjust the curve in the near future, but we definitely need more new things for players who have hit level cap to do. We have a lot of work underway to tackle this. Q: (Starfish1) Some of the voice overs in the new Feature Episode Series have been excellent. Farek (the female Ferengi) was exceptional, and the little comments here and there made her seem like a real character. Is there any chance that characters who appear in the FE series could become BOFF rewards, compete with little voice overs, quips and sayings that occur in certain circumstances? Dstahl: First, I had to look up your account to make sure this wasn’t a question by our lead audio designer who asks for this very thing on a monthly basis. That said, it is an excellent idea and one that we had intended to be in Star Trek Online since the earliest days of Beta, but was pulled due to logistics. There is a chance we can revisit this and have some minor VO for bridge officers in the future. It is a long term goal of our audio lead. It’ll happen someday. Q: (Jstagg) I remember the monthly Engineering Reports being a fantastic way of seeing what you guys were up to! But we haven’t seen one since August 2011! Are they going to be coming back? Dstahl: Yes, but in a slightly new format. There were some complaints that the previous Engineering Reports provided too much insight into the speculation department at Cryptic Studios and while they provided an excellent short term view of what was coming, the long term view as very skewed and subject to change. Oddly enough long term plans in MMOs are often subject to change, so when the Engineering Reports do return, they will be scoped to be far more about short term plans and will shy away from trying to discuss long term goals. Q: (CiprianP) When are you going to address the Elite STF loot table issue? Even if Gozer said it isn’t broken, there is a very big discrepancy between the time and enemies we face in the normal version versus the time and enemies in the elite version when it comes to the loot we get. Dstahl: While Gozer has looked into this and the system is working as designed, we are evaluating the loot given out in the STFs and determining if and when we are going to make an update to address this. You may see an update to this after the Featured Series ends. Q: (ForsettiTyr) It seems counter intuitive that a F2P game limits the number of ships a character can have; since ships can be purchased from the C-Store. Will the hard limit (currently 39) on ship slots for a character be increased or removed? Currently , I am unable to purchase slots. Dstahl: The software team is working on a few options for players who are in your situation. Previously, the solution was to delete ships that you don’t use and then reclaim them when you want to play again (something you can do in most cases). However, this solution isn’t as elegant as it could be, and we certainly want players to be able to own all the ships they want to own. We plan to start addressing this as we begin to release new ships such as the upcoming Flagships in the near future. Q: (Vado88) When are you going to reopen the French and German forums? Dstahl: The Perfect World website team and marketing leadership team are in Europe as I write this working out the plans of how we can do better to support our European players. This involves discussions around localizing content in the game as well as localized versions of the website and forums. Q: (KeithCrimson) When do we get to play as a Cardassian? Dstahl: We’ve been holding off on having playable Cardassians and Romulans for the time being as we envision having a complete faction devoted to these races. That is the only reason we haven’t added them as playable species in the game yet. They are reserved for future expansions. That said, depending on what our timeline is for future expansions, we haven’t ruled out the possibility of having a few Cardassians or Romulans appear in Fed/Kdf ranks. So this is very TBD still. Q: (bluegeek) When will missions be able to award CXP besides just Diplomatic? Dstahl: This is potentially on the plate for Season 6. We are in the final process of determine our feature list for that release and this is close to making the cut so far. We definitely want CXP to be gained from additional missions outside of just Diplomatic missions as that was the intent of the system from the get-go. Q: (Void-VectorX) Any idea if we will have Mars and the other solar system planets available anytime in the near future? Dstahl: We’ve had these planets on hold for some time now, but I’d keep my eyes out for new events during the year that will take place around the Solar System. They could be coming sooner than you think!